Today the Datanauts explore what it’s like work in high performance computing. We discuss issues at the compute and network layers, explore resource allocation challenges, and more. Our guest is Nick Buraglio. Today on the Datanauts we talk about the key elements of building a physical data center: cabling, racks, HVAC, power, and management. Our guest is John Kerns. Today’s Datanauts episode looks at how NVMe moves the storage bottleneck back to the network. What’s that mean for distributed storage design? We discuss with guest J Metz. 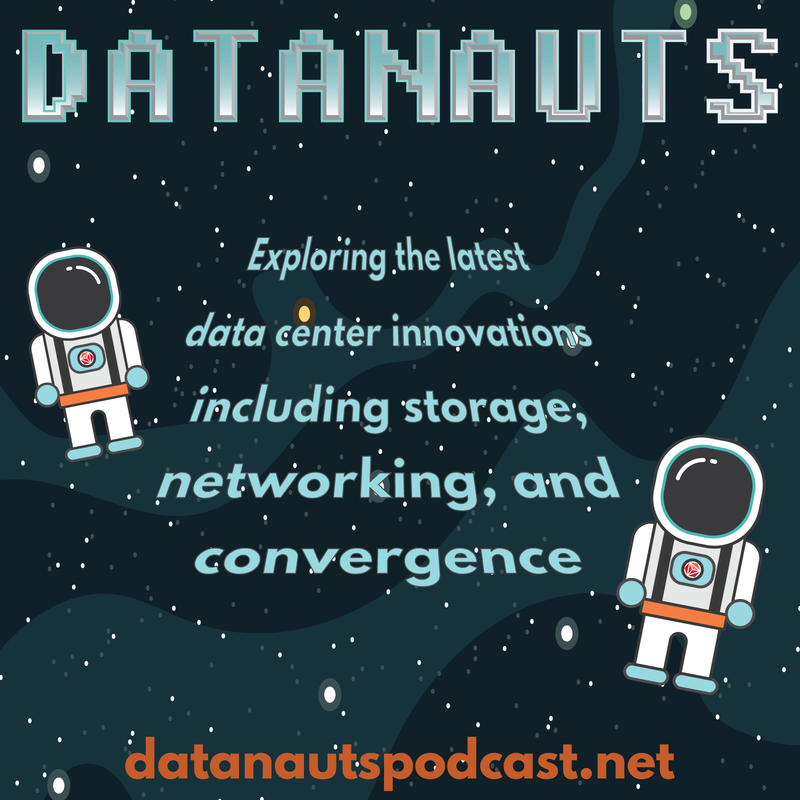 The Datanauts divine the future of storage–including commodity hardware, NVMe, distributed architectures, and of course, cloud–with guest Tom Lyon. The Datanauts talk with Oracle Ravello in this sponsored episode about using Ravello to run your VMware applications in the public cloud. The Datanauts and sponsor AVI Networks explore service meshes and why they’re essential to support applications built around microservices. The Datanauts discuss stories they found on the Internet that apply to the Datanauts audience, including the rise of container adoption, storage networking, IT blame culture & more. The Datanauts explore how to control cloud costs with guest Corey Quinn, a consultant and Amazon observer who shares his insights and experience on understanding and managing your cloud spend. The Datanauts get an introduction to cryptocurrencies and the blockchain. The Datanauts explore the business case for, and challenges of, migrating on-premises Exchange to Office 365. Our guest is Theresa Miller. Chris Wahl records a live Datanauts at Microsoft Ignite to talk Azure, Azure Stack, PowerShell and more with Microsoft Technical Fellow Jeffrey Snover. Datanauts 102: Does Data Locality Matter? In distributed storage/HCI systems, does it matter whether the storage mount for a workload is local or across the network? The Datanauts & guest Howard Marks discuss data locality. This Datanauts episode delves into the role of the CIO to understand how technologists can work with executives to meet goals and align with business needs. Our guest is Tim Crawford. The Datanauts answer listener questions on tech topics and favorite episodes in an AMA-style format to celebrate the 100th show. Microservices represent the new application architecture, but is it right for everyone? And what do microservices mean for infrastructure design? The Datanauts explore microservices with guest Bryan Boreham of Weaveworks. The Datanauts explore how Web and mobile application delivery and acceleration have changed, and examine new efforts such as HTTP/2 and SPYDY. Our guest is Lori MacVittie. The Datanauts unpack Azure Stack to get a closer look at its primary components, explore the rationale for adopting Azure Stack, understand the integrated systems required to run it, and more. Our guest is Ned Bellavance. IoT presents interesting and exasperating challenges for IT infrastructure pros. The Datanauts delve into IoT issues including security & networking. The Datanauts are joined by Jennelle Crothers, IT Pro Evangelist at Microsoft, to discuss infrastructure-as-a-service in the Microsoft public cloud, Azure. The Datanauts talk about the pros and cons of alternative infrastructure options including converged, hyperconverged & composable infrastructures. Our guest is Fred Chagnon. The Datanauts look under the hood of distributed storage systems to explore erasure coding. Our guest is J Metz. Learn how to use Chef to automate the creation of MCSA labs for Microsoft certifications. Our guest on the Datanauts is Brett Johnson. The Datanauts explore major hybrid cloud announcements from the Nutanix Next 2017 conference, including a Google partnership and Nutanix’s Calm and Xi initiatives. This is the second episode in the Found On The Internet series. SRE, or Site Reliability Engineer, is an effort to create a job role that puts operations teams on equal footing with developers. Rob Hirschfeld joins the Datanauts to discuss just what it means.